As I preach every year, the best way to achieve a goal is to share it. Share it with your supporters, your key influencers. Hell, if you really feel confident, share it with everyone you know. OK, maybe this last suggestion is a little much, but this is exactly what I did earlier this year. 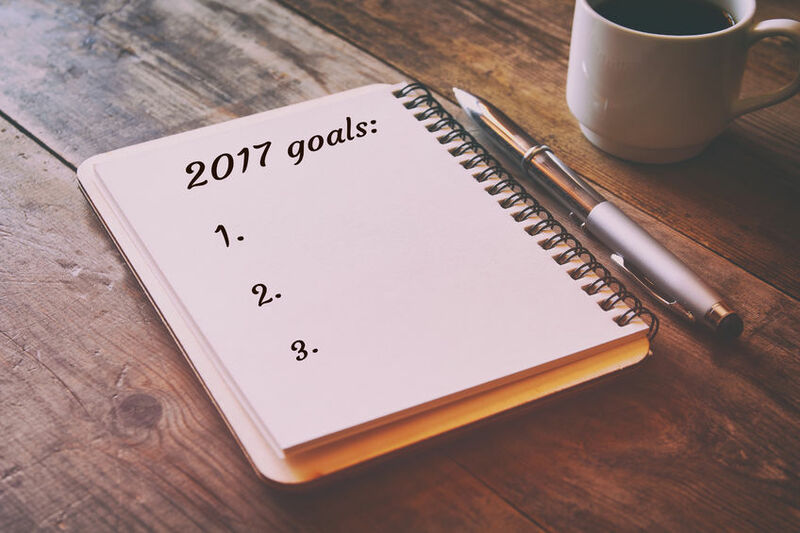 I shared with all my readers my 3 goals for this year, and I will do this again for this next year. I share my goals because it gives me purpose, it excites me and it puts pressure on me to achieve it. It’s bad enough letting my team and myself down, but it is worse failing in front of everyone else. It’s time to share with you my progress on my 3 big goals and reflect why I failed in one major goal and surpassed others. In 2016 I actually set 4 big goals. 3 I shared and 1 I did not. The one goal I kept private was my financial goal. Certainly, this goal was crucial, but it was a lag goal… that is, I couldn’t measure it until the year was complete. This is very important to recognize. Your financial goal, although crucial, is not an activity that will help you achieve something, it is simply a metric. The other 3 big goals, which I shared were the activities that would determine our success in achieving our financial goal. Grade C. Didn’t get it done by the end of the first quarter as targeted. In fact, I didn’t get it done by the second, or third quarter. This was a much bigger project than I first envisioned, more so as I kept on expanding the scope of the project and incorporating more variables and deliverables. This original target was an error on my part. The goal, although exciting, relevant and time bound, was not realistic. I could not have achieved this by the end of the first quarter. The lesson here is to be considerate of all variables in setting your goals for 2017. The good news is that this goal was achieved in Q4 of 2016, and will be delivered Q1 2017. Grade B. To meet our financial goal, we would need additional sales people on our team. This goal was achieved and we aligned with a seasoned sales person in February of 2016. The problem was this sales person did not work out as hoped. The earlier than projected hiring would seem like a positive; however, we made the common error of finding a solid candidate that we personally knew and bypassed our normal comprehensive assessment and hiring process. I originally set the goal to hire by March 31, knowing it would take that long to find the right candidate, but with too much focus on the financial goal, I took a short cut and it simply came back to bite me. Today we are in the process of finding a replacement, and have been looking for over 3 months. This time we are implementing our hiring process. Grade A. Goal exceeded. The speaking opportunities ranged from national conference keynotes to private office workshops. Speaking is a little different than all other service offerings, in that 9 out of 10 times people reach out to you to see if you will speak. You really can’t sell speaking. Inquiries are generated from your presence campaigns. The difference for you is that you can offer to speak for free, simply for the exposure. Speaking for you would be part of your bigger personal marketing goal. We use speaking as a revenue generator first and foremost, and then a presence piece. So, my average grade for my goals in 2016 was a B. Certainly, not Honor Roll worthy. However, we surpassed our financial goal. Why? Because the activities we put in place for redesigning our coaching platform, hiring additional sales people and securing speaking allowed us to better hone our sales pitch and our marketing messaging. This resulted in a record year for signing up new clients, thus our ability to surpass our financial goal. It was the activities behind these other goals that drove our ability to hit the financial goal. More importantly, it was a record year for our client/members. They closed more deals, greater transaction volume and higher commissions. Why? Because they too focused on their designated activities to drive their income goals.